Drones Vs. planes & satellites – how do they compare? Drones can capture on-demand aerial photography maps usually at lower cost than using a plane or helicopter and at higher resolution than satellites. Unlike satellite data, drones operate on an on- demand basis and fly relatively low and so they aren’t typically affected by cloud. Collecting aerial imagery using satellite or manned aircraft usually requires at least a few days depending on the area covered. The production of elevation data and orthomosaics, as well as its quality control, will often take a few weeks. With drones, it’s quite normal for a project to be flown in the morning, processed in the afternoon, and delivered by the end of the day. After the drone has landed and the data is taken out of it, various platforms such as Propeller and Arc GIS can be used to stitch the images and process the data to deliver 3D terrain models. Outputs are geo-referenced and ortho-rectified, meaning measurements and calculations can be taken directly from them. This can be anything from basic distance, area and slope calculations right up to stockpile volume analysis, sight lines or watershed runoff simulations. Propeller, Red Bird and 4D Mapper can also make your final models visible via your browser so your clients can easily view them without needing to download expensive software. These platforms basically allow you to manage share your geospatial data in a browser – be it LiDAR, point-clouds, imagery, orthomosaicks, 3D terrain models (DSM/DTM), GIS data or metadata. You can even do some simple interactive functions such as overlay, digitize, measure points, lines, areas, profiles and volumes. Resolution wise, 3cm-5cm per pixel (3-5cm GSD), is quite the norm for drone acquired data in 2017 (enough to see a small flower for example). Drones do have limitations, the cameras for instance, can’t penetrate heavy tree cover to reveal the land below. Also, it can be tricky on a windy day if the drone is not large enough to handle wind, and there needs to be a clear space to land the drone - if it is a fixed wing machine. Wanting to survey difficult terrain with little to no established vehicle access? Hiring a drone operator to fly across areas such as this, rather than putting people on the ground, can reduce the exposure of those people to potential hazards. For example to evaluate vegetation health along rivers or drainage channels, do inspections of elevated cave entrances or to search for rare flora along ridge lines. 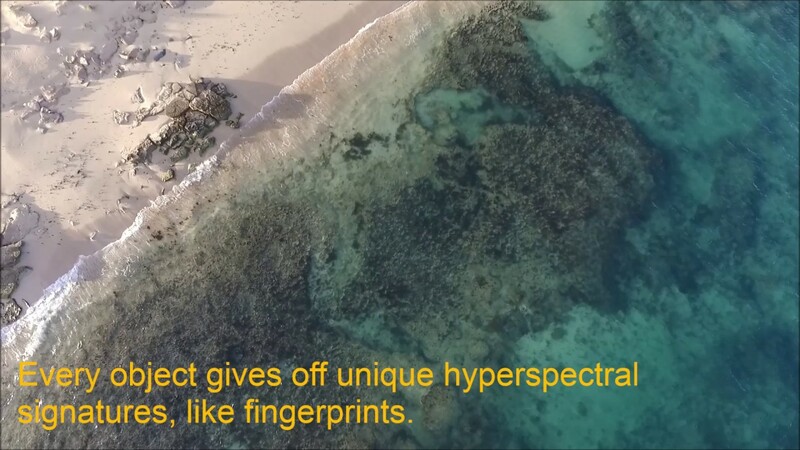 Multispectral sensors are much smaller these days, enabling a drone to carry them and map natural phenomena that could not been possible with just the human eye. A high-resolution camera on a drone is ideal for creating 3D photomosaic images for cultural heritage mapping and coastal erosion monitoring. Thermal and infra-red cameras, aside from detecting fires, can find wildlife in dense forests, survey solar farms hot spots, or inspect mine site machinery or wind turbines. Drones don't need a lot of aeronautical infrastructure, they launch with a catapult and land with a parachute – you don't need a runway. Manned planes need to either fly there expending a lot of fuel, or can't get there at all. Drones can be used to evaluate an area prior to a planned burn taking place in terms of topography, hazardous trees, nearby infrastructure, and vegetation types and densities that could lead to the crossing of containment lines. And later for monitoring the planned burns while they're taking place and post-process mapping. Drones also enable better communications for people on the ground, especially in remote areas, which in turn means increased safety for staff. Wild pigs can get into shrubby areas, cause destruction and nest inside the scrub. They are difficult to spot during the day and from ground level. A drone with a visual or thermal camera can detect them and send a live video link to people in vehicles on the ground. Vertebrate pests impact both the environment and primary producers causing irreparable damage to native land, Flora and Fauna along with significant losses to the agricultural sector. Queensland based business Skies Eye Drone Services is now using thermal imaging equipment to identify animals in the darkness of night, plus the aerial advantage covers more ground cost effectively as opposed to being ground based. And the data and imagery they capture is non-invasive, keeps humans at distance and allows natural monitoring of even the most elusive native animals. Surveying animals such as koala population sizes at sites - drones are quieter than traditional aircraft, making the animals less likely to be disturbed and therefore easier to count. One start-up in Finland, Aeromon, is mapping something less tangible than land: industrial emissions. It has built a drone and software platform capable of tracking invisible gases from above. And it’s not been easy. In order to accurately map gases as they enter the atmosphere, Aeromon team has developed a sophisticated sensor package, ‘BH-8’, which can be attached to a drone to capture data in the field. A connected analytics platform takes the information from these airborne sensors and lets plant operators and regulators map emissions in real-time. This can help governments and authorities keep factories and fossil fuel companies in check. Equipped with infrared cameras, drones are being trialed in hot and remote locations, to detect leaks in underground water pipes in the desert. Research led by Professor Amin Al-Habaibeh at Nottingham Trent University in the UK aims to prevent water loss using infrared technology to spot leaks that are invisible to the naked eye. River Flood Plain Mapping can be carried out quickly, identifying developments at risk and highlighting ways to improve the problem. Both banks of a river can be mapped simultaneously and can be viewed in 3D. 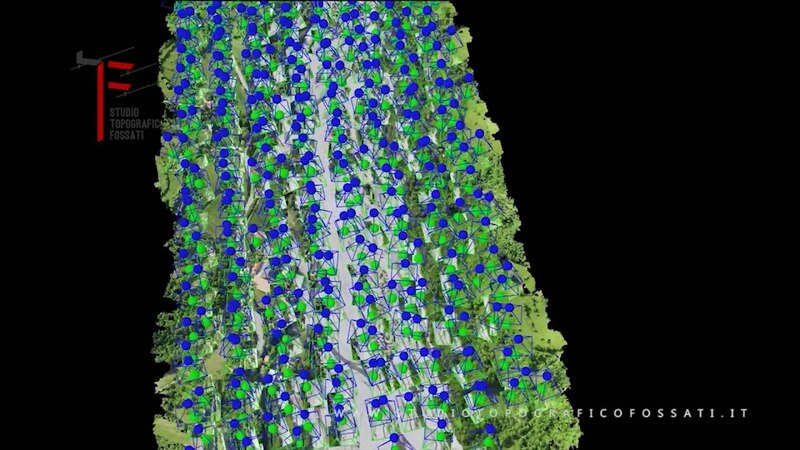 Software allows you to simulate different flood levels and the affect it has on the terrain. Cross sections at any point along the river can also be calculated. E.g. a simulation across shows the impact when the river level is raised 3m higher than current heights. It also highlights to flooding paths. Experienced drone surveyors in Australia will charge around $175-$255 per hour for survey work. These guys are not your run of the mill drone flyers – they understand the need for flight preparations in order to get accurate data sets – weather checks, take-off and landing, sufficient imagery overlap, and the correct software/algorithm for processing the data after it has been acquired. 2. Relevant experience. As always - check the operator’s images and videos for relevant experience with environmental mapping in general. You might be looking for a waterway survey, species identification or a point cloud - find someone who can actually demonstrate that they have done something similar to your request. Want to get a 3d model of the whole area. Undulating, fairly plain bushy block. Rectangular shape, some rocky areas. approx. 600m road frontage, 800m deep, roughly rectangular. I want to get an understanding of the contours and water flows. Will develop the block later and I live in another state so cannot access it often. A video fly over of the property would also be nice to enable me to show people the property. 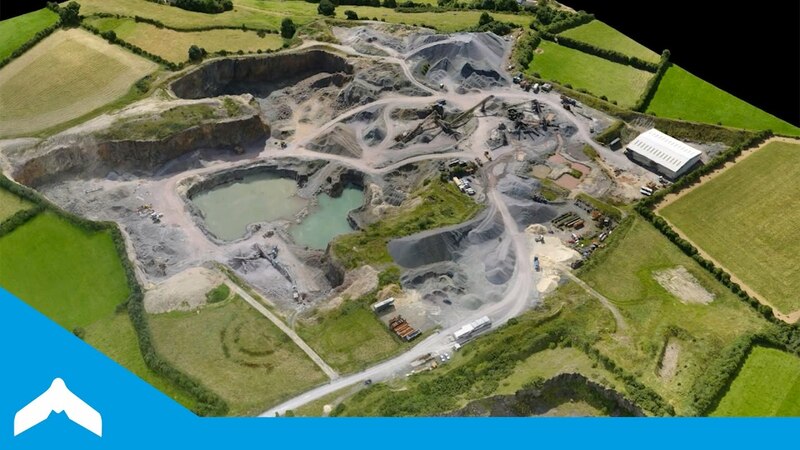 Complete necessary drone survey operations over an area of 20 square km (2km by 10km) to determine ground levels and contours feature as part of ********. Survey reporting needs to relate to AHD. The location is approximately *********. Lidar point cloud scans of small sections (about 400-500m) of some coastal areas around different states in australia. Some popular tourist/food destinations around coastal areas. We would like to use the lidar data in conjunction with Maya software to create unique visual / textural 3d models of these coastal areas. The engineering accuracy/dimensional accuracy is not super important its more to get a feel for area. Lidar is very impressive but not always pretty. Some of the areas have trees. Can the drone fly between the trees? Say 2m gap. Also looking at wineries i.e. between the rows of vineyards. We are based in Melbourne but these target locations for the project are around aust. If you have already done something similar please send example models. Would like an aerial survey of a 10-acre family property of ours for identifying the individual plant speciies on it - where each species is located. Such as yellow box, and track weed infestations such as cape weed, black berries, thistles, smilax etc. Identification of species like tussok grass, swamp gums, wattle, banksia.